Sometimes choral auditions can seem daunting with all of their requirements: sight reading, tonal memory, range assessments… and oh yeah, you have to prepare a song or two as well! But fear not, as there are ways to get you confident for the big day. Here are some tips on how to prepare. You’ll want to select a simple audition song (or two) that shows you off. Many choral groups will specify acceptable genres, but you can never go wrong with a short art song or classic musical theatre piece. Suggested composers include Brahms, Faure, Quilter, and Rodgers and Hammerstein. Opera arias are not recommended as they tend to be lengthier and vocally very demanding. Remember, choral groups are ensembles, so you’re expected to blend with the other voices — not overpower them! “Zueignung” – Richard Strauss. This short but gorgeous piece in German shows off your vocal range AND ability to sing a long, connected line. “Ici-bas!” – Gabriel Faure. This moderate-tempo art song is marvelous for showing off French diction, overall vocal range, and musicality. “Come Ready and See Me” – This lovely American art song by Richard Hundley is a favorite for many reasons. It has a lovely, memorable melody! Remember that it’s important to show how well you enunciate in your native language (a huge thing with choral directors), so if you perform this well and really use the dynamics, you’ll impress! This is one of the most important choral audition tips, since sight singing is often part of the audition process. There are tons of resources out there that can help — books such as the Danhauser series by G. Schirmer or the Jenson Sight Singing Course, and very useful websites such as The Practice Room — but make sure you’re also working with your singing teacher within your lessons to improve your skills. If you’re nervous, don’t fret: it’s unlikely the audition panel/choral director will have you read anything in a crazy key or time signature! They are looking for basic musicianship. Remember to practice slow and steady, and to take deep breaths. Treat it the same way you treat your songs when you practice. The same advice certainly applies for when you sight read on your audition day! Singing intervals is an essential skill for all singers, and will come in handy when you’re sight reading your part in choral rehearsals! Funky ‘n Fun Series 3: “Challenging Patterns” by Kim Chandler is incredible for helping singers identify all sorts of intervals, scales, triads, and so on. Once you’ve got them in your ear, it will make the tonal memory and sight reading portions of your audition much easier for you. 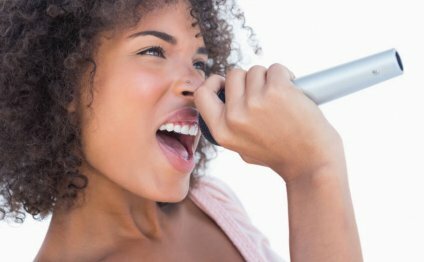 Plan to spend a good amount of time on these exercises in both your vocal lessons and practice leading up to your choir audition. PLHS Show Choir Audition Song 2012-2013 "Get Over It"